CARFAX One-Owner. Clean CARFAX. 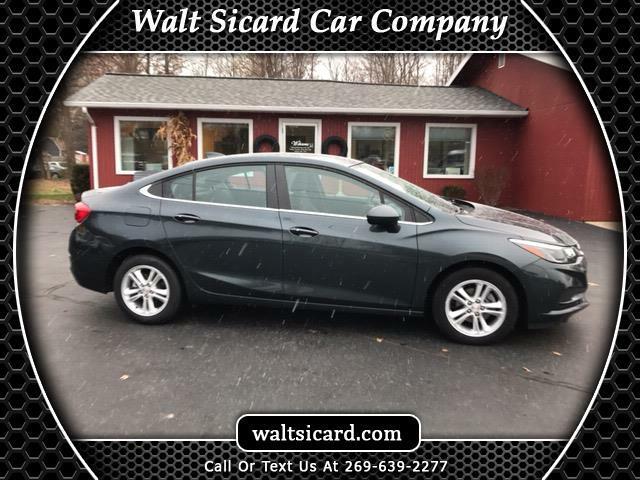 Graphite Metallic 2017 Chevrolet Cruze LT FWD 6-Speed Automatic 1.4L 4-Cylinder Turbo DOHC CVVT 2017 Chevrolet Cruze LT in Graphite Metallic, Sought After Options Include, **ONE OWNER**, ** BACK UP CAMERA **, **HEATED SEATS**, **BLUETOOTH**, **OFF LEASE**, APPLE CAR PLAY, Convenience Package, Driver 8-Way Power Seat Adjuster, Heated Driver & Front Passenger Seat, Keyless Open, Keyless Start, Preferred Equipment Group 1SD, Remote Vehicle Starter System.